Large numbers of people are talking about Ricoh these days so it becomes essential to check out its review to get information about its incredible feature so that you can plan to buy it soon. Ricoh has recently launched its most awaited spherical camera unit in form of Theta S that comes with compact size, has very specific usage and is capable enough to capture outstanding spherical photos. It is time to capture an entire room including ceilings, floor and all four walls in just one click by using Theta 360-degree capturing abilities and the best thing to know is that Theta S achieves all these goals with a limited price tag of $349.95. Presently photography lovers are crazy to enter inside the world of spherical imaging because it is going to be the most wonderful and rapidly growing segment of videography as well as photography space. Although there are so many designs of spherical cameras available in market already and most of these can focus on horizontal axis not on vertical ground, Theta S has been developed with all interesting and immersive capturing abilities in all directions with amazing clarity of view. 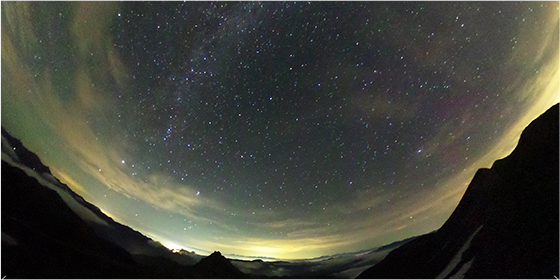 There is no doubt to say that Theta S is one of the most powerful solutions for 360-degree imagery needs of professionals as well as beginners. Theta S is going to serve like a push button to the growing world of spherical imaging where one can grab the whole 360 degree scene from any location and later it is possible to use zoom and pan features over these photos. All captured photographs can be easily viewed upon Mac, PC, Android as well as iOS devices by simply installing Theta apps developed by Ricoh itself. 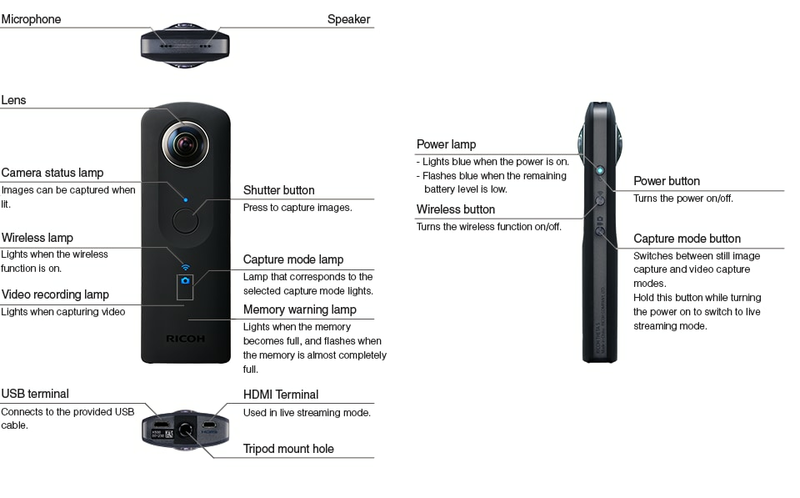 You will be glad to know that Ricoh theta comes with 4GB memory support that is enough to collect unlimited memories everyday. In order to transfer your photos to other devices you can use Wi-Fi connectivity directly. If we talk about the size of this spherical imaging device then it is measured to be 1.65 x 5.08 x 9 inches with a total weight of 20 pounds; no doubt to say that this tinny device can be held on tours easily. This Theta S camera unit can be easily used by beginners as well as professional photographers because of its incredibly interactive features. Simply turn on your camera by pressing the button provided and release the shutter; as it used to cover spherical images so you are advised to hold camera till the time it captures scene around you. The Wi-Fi facility as well as the self-timer feature is very handy so you need not to worry about anything. It can be directly connected to Android as well as iOS devices with available wireless network and one can change the settings of device as per need. It is possible to enjoy live previews of captured photographs but this facility is not available for videos; however, it is possible to transfer everything to PC via USB or HDMI port so that direct streaming can be enjoyed. This device is ideal to use for gatherings, functions such as weddings, birthday parties and dinner halls as it can capture the colorful events with finest details. You can also attach this camera unit to a drone and let it fly in the air so that everything can be captured in an outstanding way; it will result quality images in all situations. The picture quality is simply outstanding and is rated to be much better than all mid-range Smartphone. It captures colors in very dynamic and decent manner with more numbers if pixels in every frame. 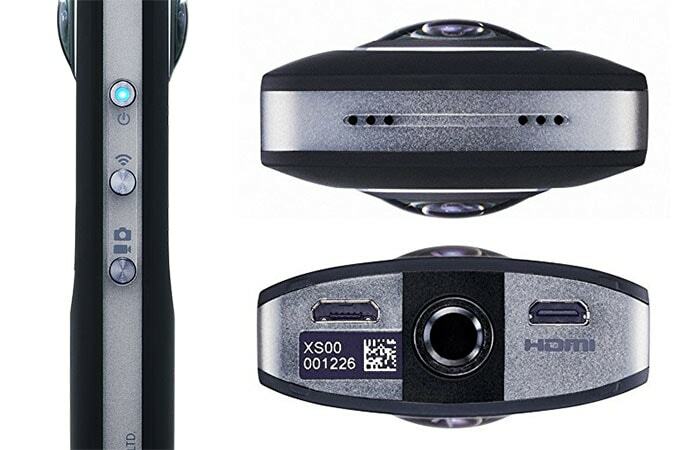 This device is known for its ability to capture the 1080p type footage with 30fps quality and the resulting images are easy to edit with the latest applications. 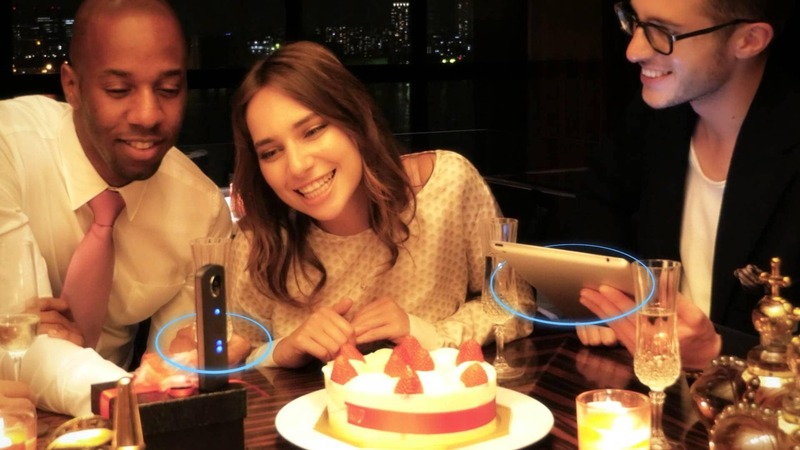 As this device provides easy connectivity to other iOS, Android devices as well as to PCs so it becomes much easier to transfer captured images and videos for further editing. Theta App allows users to create wonders out of spherical imaging where panning and zooming features are commonly used. The desktop version of Theta app limits users to just view and share their data without any editing feature whereas the third app known as Theta+ Video is capable enough to work for editing on iOS devices. JPEG (EXIF 2.3)- The most commonly used format. Theta S is one of the most useful products for photography lovers whether they are beginners or professionals. This device allows users to capture stunning shots with 360 degree focus and you can even zoom each and every part of these captured images. With all such amazing facilities, it definitely becomes a must buy product and you can order it online as soon as possible at an affordable price range.